Two years ago, while watching his son play the popular video game “Assassin’s Creed,” Washington and Lee art history professor George Bent realized that he recognized the game’s setting as 15th-century Florence, Italy. But Bent, a historian who has visited Italy multiple times over the past three decades, was bothered by inaccuracies in the digital recreation of Renaissance Florence. 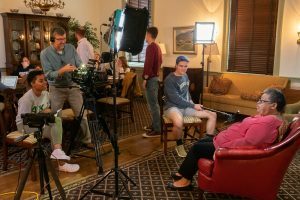 Bent, the Sidney Gause Childress Professor of the Arts at W&L, has labored for 10 months with seven hand-picked students to create a first-of-its-kind digital reconstruction of Florence. The program will allow users to tour and examine the city as it looked in the 15th century. “Initially, the goal was to create a two-dimensional and three-dimensional map of the city – complete with representations of buildings – designed according to measurements taken from on-site examinations and various scholarly literature,” said Bent. 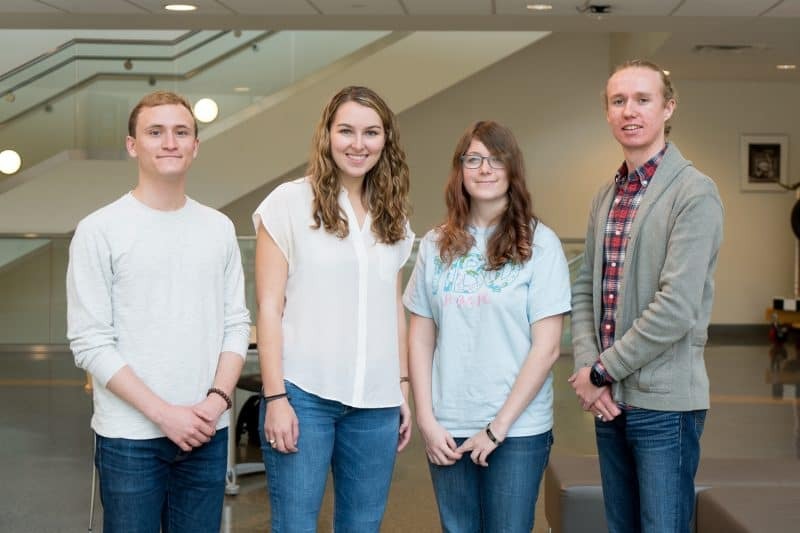 An ambitious initial goal was not enough, however, for what Bent likes to call the “dream team.” This year’s team of four includes Aidan Valente ’19, Katherine Dau ’19, Mary Catherine Greenleaf ’19 and Colby Gilley ’20. While the initial goals remain, the team also hopes to create a virtual reality tour complete with the sounds and art of that time period. Students who participate are personally chosen by Bent for the different talents and skills they can bring to the group. From translators to video game designers, these students have skill sets that cover all of the project’s bases. Valente and Sam Joseph ’19 traveled to Florence for this project in the summer of 2017. While there, they conducted research for six weeks and extensively photographed the first site selected for photogrammetric modeling, thus forming the basis for the project’s 3-D modeling work. Joseph is stepping down from the project this year in order to prepare for graduate school, but he has high hopes for its future. “I hope to see ‘Florence As It Was’ develop into a massive international collaboration, bringing together great minds and wide-reaching interests under one project,” Joseph said. Other universities around the world have embarked on digital projects that revolve around the city of Florence. Bent hopes to partner with those institutions to aid in the project’s development. In particular, the University of Chicago aims to layer onto the maps the sounds that one might have heard at any given hour of the day in the Renaissance city, while the University of Toronto has already begun a project to map the people, places and events of 16th-century Florence through archival research. If collaborations with these institutions move forward, users of the system will be able to immerse themselves in a Florentine’s daily experience in the middle of the Renaissance. Bent also hopes to restore the artwork of that period to its original locations. “This is a chance to see the art we are familiar with today – that’s currently tucked away in museums – restored to their natural settings,” said Bent. Mary Catherine Greenleaf ’19 is using this project to help prepare for her dream job. Greenleaf creates models of the buildings from photographs or, in the cases of buildings that no longer exist, paintings. As an aspiring graphic artist for video games, Greenleaf sees Florence As It Was as the ideal opportunity to sharpen her skills. Sam Joseph ’19 in Florence, Italy, during summer 2017. Other members of the team also feel like they are making significant leaps with the project. 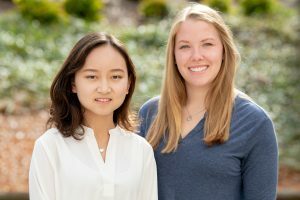 This semester, Gilley, along with Dau, will spend a great deal of time writing essays on various aspects of Florentine society, which will add a layer of interdisciplinary research to the project. The work is far from finished, and more trips to Florence are planned. The students involved today are only the foundation, and they know that this undertaking cannot be completed during their time at W&L. To track the team’s progress, visit http://florenceasitwas.wlu.edu, where they have updated images of the maps and buildings they are currently designing, along with personal blogs about their work.